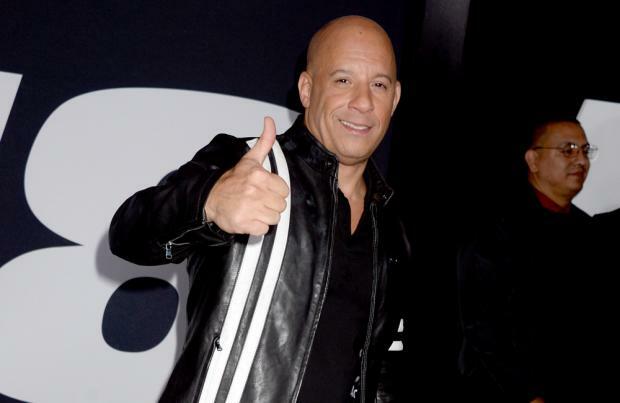 Vin Diesel is making music with his 'Fast and Furious' co-star Ludacris. The 50-year-old actor has revealed in a new Instagram video that he and the rap star have been busily recording music that will send a "positive" message to their fans. In the clip, Vin explains: "As you know, we always get together and pow wow. "Tonight was a little different, we got inspired by our angels to go to the music side of our brain." Ludacris, 40 - whose real name is Christopher Bridges - then reveals that the Hollywood stars have taken to the recording studio in a bid to help "make the world a better place". He shared: "Creative minds come together, always thinking about how to make the world a better place. "Always inspired by our children, the next generation. What we can leave them, how we can make positive change and impact. We have the power to move mountains." Ludacris then turned his focus to Vin, admitting to being inspired by the action movie star. He told him: "You inspire me, we inspire each other. "Let's make a change, man, each and every person. Let's stop talking about it and make it happen." Meanwhile, in August, Vin announced plans for a live-action 'Fast and Furious' show. The popular actor has starred as Dominic Toretto in all eight movies in the blockbuster franchise and he confirmed that the live-action show is set to start touring arenas around the world in January. Speaking on Facebook Live, Diesel said: "As you know, my work with 'Fast and Furious' never ends. "Now, I am in New York City, believe it or not. Filming something that is going to be state of the art. A live show. "It will be, I think, first going to be in the O2 Arena in London and the all over the world. I am really excited about it."